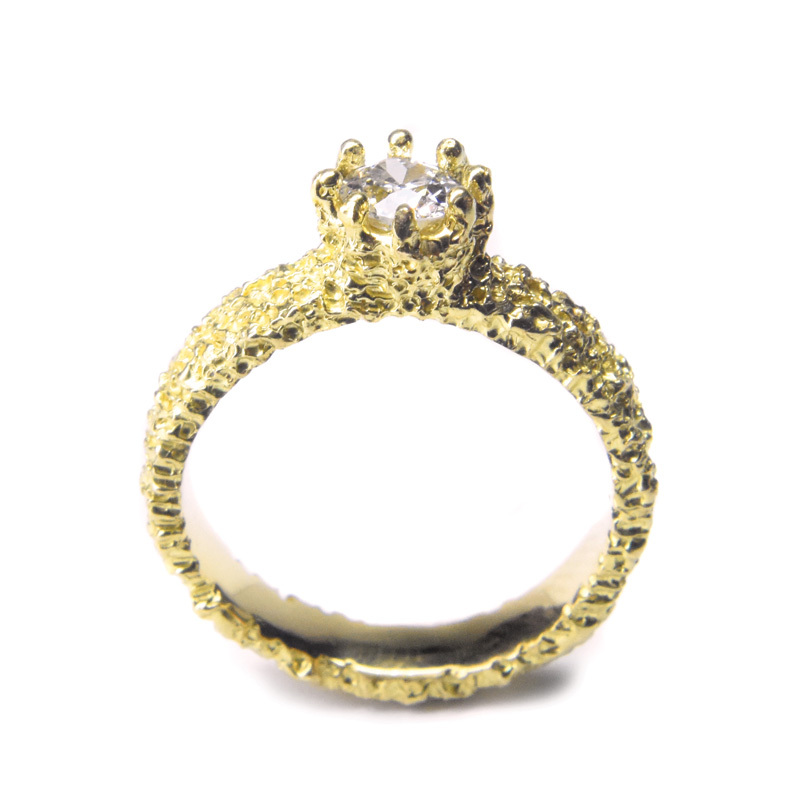 Lost Crown Ring / 18ct Eroded Gold Diamond Ring / by Welfe. The lost crown ring looks like it was pulled up from a shipwreck with its traditional claw setting sitting high over a 4mm wide eroded band. Shown with a certified fair trade diamond. This setting can fit between 1/3ct – 1/2ct diamond.